In addition to being vintage enthusiasts we are both huge Disney fans so when we come across things that marry the two together we get really excited. Enter Leslie Kay at DisneyBound. 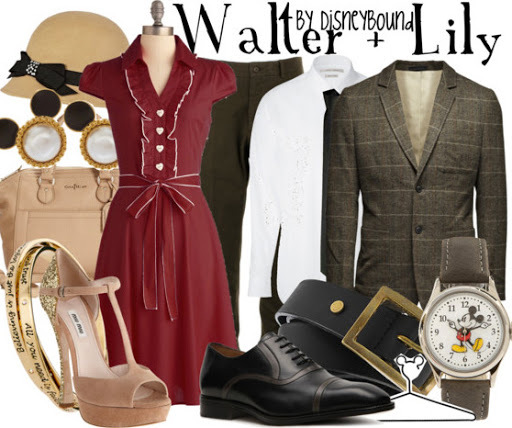 She puts together the cutest outfits inspired by Disney movies, characters and parks. Even the man himself Walt Disney and his lovely wife Lily. I am in love with everything in this vintagey look. I’ll admit I scooped up that dress in grey the same day I came across this. See where you can buy here.